1. 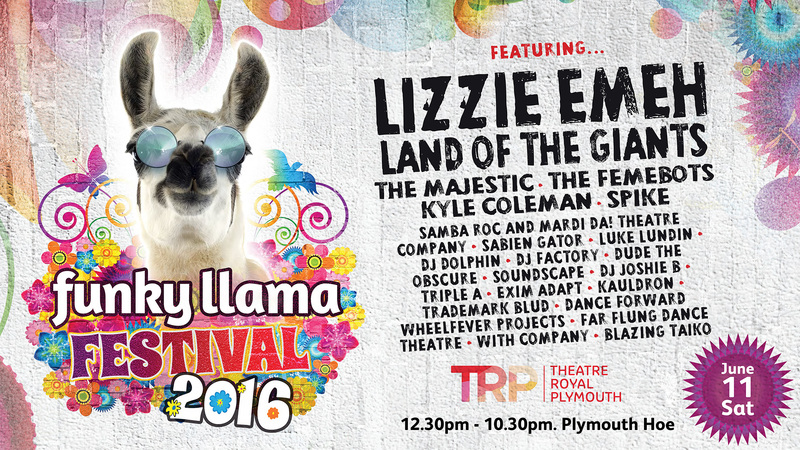 Plymouth Hoe – Funky Llama is bursting onto Plymouth Hoe for the annual festival on Saturday 11th June from 12:30pm – 10:30pm. All the things you know and love about Funky Llama are staying the same, but this year we have additional acts and a new workshop tent called Drama Llama. It is a ticketed event which will be managed at the festival gates by Theatre Royal Plymouth staff and security. Tickets can be purchased on the day of the event but this is only available for cash payments. 2. Transport and Parking – We will have plenty of parking next to the festival site on the Hoe which you can access via Elliot Street, this will include a drop off point. There will also be a shuttle bus running from opposite Bella Italia, up to the Hoe throughout the day. There will be clear information given through volunteers about bus times. 3. 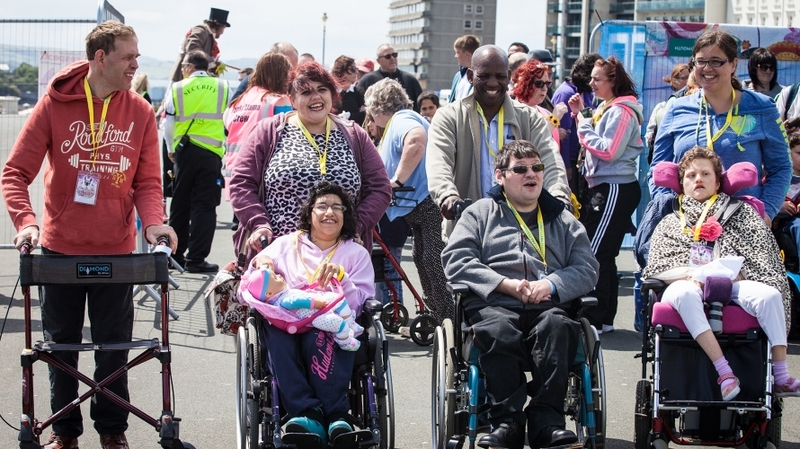 Access and toilets – The festival site is fully accessible with disabled toilets available on site. We will also have a hoist facility available in the theatre and access to the new Scope fully accessible care suite on Cornwall Street. 4. Crowds and Noise – There will be lots of partying and activities to get involved with at the festival, however, as always there will be a chill out tent where you can relax and enjoy a massage and some storytelling to get away from the crowds and have some time out. 5. Safety – There will be lots of friendly staff and volunteers helping on the day to make sure you have the best time and stay safe, as well as well stationed security personnel around the site. 6. 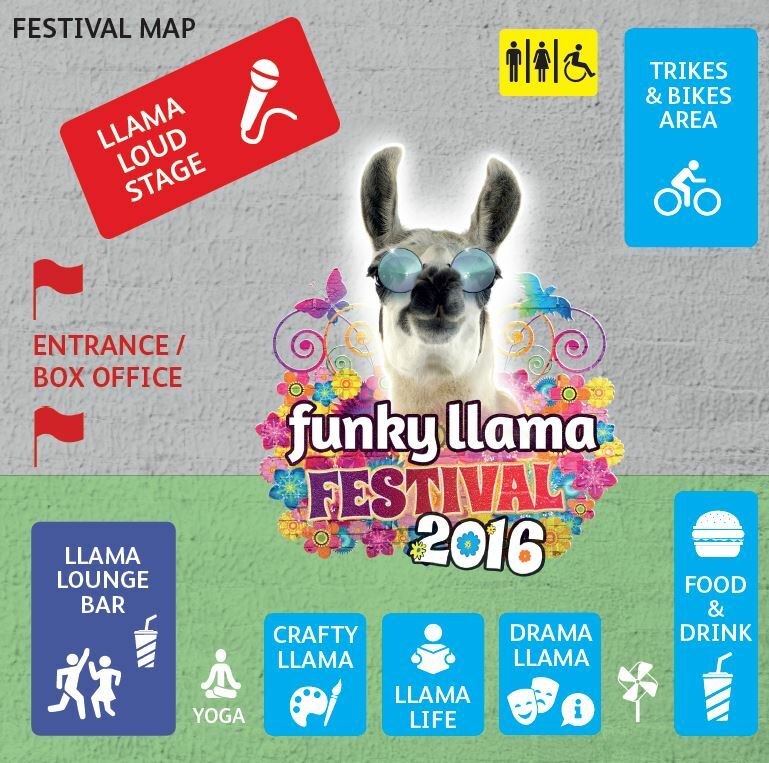 Things to do – there is something for everyone at this year’s Funky Llama Festival, with two stages for music and dance acts, a workshop tent, an arts and crafts tent, chill out tent with storytelling, a photo booth, pop-up performances and plenty of food and drink stalls. All activities will be free. 7. Food and Drink – bring a picnic or enjoy a variety of food from the food and drink stalls. 8. Cash – there are no card machine facilities at the festival, so remember to bring cash with you. Tickets for the festival are available online or by calling Box Office on 01752 267222. You can find the festival line-up and a site map in the image gallery in this article. We hope you enjoy the festival. Mikey, Ryan, Katie, Greig, David, Brendan, Paul, Colin, Hannah, Bex, Chris, Alex and Sara.